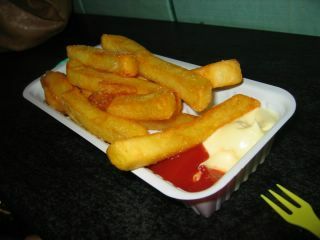 As far as I can tell, Holland isn't really famous for its national cuisine. I often hear glowing reports of Amsterdam's culture, its history, its atmosphere, it's architecture, but never its restaurants. 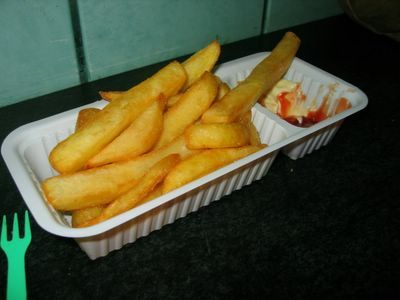 However, many Dutch specialities are cheap and easily available in stalls, meaning that it is easy to eat well, without breaking the budget. 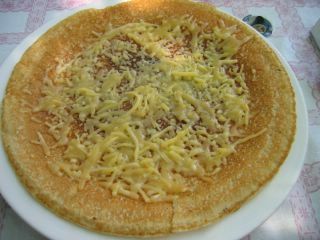 Having now visited Amsterdam twice, I am convinced that no-one does pancakes or fries quite like a Dutchman does. 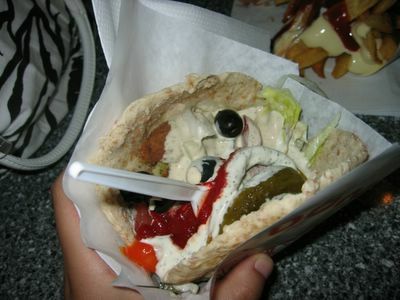 Felafel with everything - a large population of middle-eastern immigrants means that good felafels and kebabs are easily available. 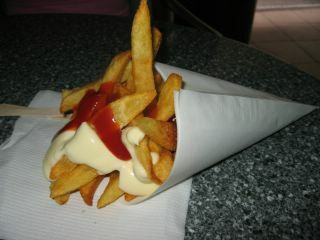 Fries in a cone - "Vlaamese Frites"
More Vlaamese frites. Best fries ever. Mmm really... the best fries ever. Dutch mayo is the best! I like to drown my fries in it. Mmm... artery clogging. I'm not convinced about the necessity of ketchup, but I concede that for many people, ketchup is the best part. Hey, i actually am Dutch, and we have a lot more cuisine than you might know! 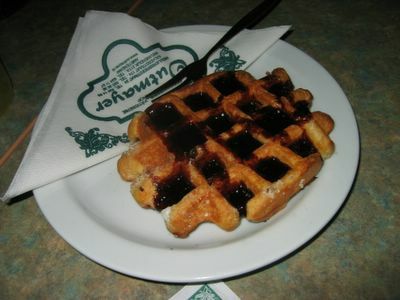 Besides from our pancakes, our deep fried stuff is really good (Frikandel, Kroket), we have a lot of good mashes, like sourkrautmash which are traditional and actually really good, and a lot of traditional pastries like stroopwaffels, custardfilled puffpastry(tompoes) and applepie. Also, traditional dutch food might be hot peasoup with ryebread, red cabbage with apple and some steamed kind of puds. Also, if you ever have had a just-made-fresh stroopwaffle, it might become your most favorite kind of pastry!!!! Thanks for that... actually that all sounds really good. I love sauerkraut and pea soup and pastries too. I'll def have to try some of that next time I go.